Do you love perfumes? Do you love to play with your perfume choices from time to time? Do you have a perfume range to fit your mood and the occasion you are attending? Choosing the right perfume for each and every occasion can be very expensive. However, because you will need to exude a different personality when the occasion warrants, it is necessary that you have at least four types of perfume in your perfume wardrobe. Yes, perfume wardrobe. Buying and using perfume is just like buying and using clothes that fit your mood and the occasion you are using it for. Some people use perfume as a uniform, they use the same perfume in the office, in events and even during parties. Your friends will therefore know it is you by your smell. If this is what you want, it is not what experts recommend, though. • Personal factors – Health, mood and medication – Health including your pH balance, hormonal changes, medication affects your skin chemistry. Even, mood swings, which are intrinsic in a woman, affect her skin chemistry and thus the choice of perfume may vary depending on these factors. • The weather – cold weather or hot weather – Cold weather intensifies the fragrance of your perfume. During cold weather, it is advisable that you choose lighter scent but apply it more often, just to keep you smelling good during the entire day or event, as the case may be. During hot weather, your perfume will easily evaporate and thus you may need a little stronger one. You may also need to re-apply. • Occasions – There are occasions that you want to be as dressy as you can and thus your perfume needs to follow. For occasions that you may want to feel light and warm, you may choose lighter fragrance. This may however be dependent on your mood and the people that will be around you in these occasions. If you are in a party where your office colleagues and close friends are around, you may choose a different scent from your day-to-day perfume. If you will need to follow the advice of experts to have a variety of perfumes or a perfume wardrobe, it may be painful on your pocket. To remedy your problem, I will recommend that you buy perfumes at a discount price. No, we are not suggesting you buy perfume in quantity during sale season. It will still cost you too much. What I recommend is for you to hunt for discount perfumes online. Why online? Because on internet, competition is stiff. 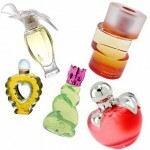 Perfume vendors compete for your purchase offering different sets of discounts like free shipping and other benefits. Benefits or special offers may be varying and you may need to check out as many options as possible. Many women enjoy a shopping spree in malls. However, even the fact that there are discount perfumes and colognes you may find at the mall, there is no way they can beat the dead low discount perfumes online. I suggest though that you hunt for these discount and perfumes. If you are able to find a good deal, good promotion, and the fact that you do not need to pay for shipping, would you not purchase online? Discount or no discount for perfumes and colognes, let us give you an advice on how to properly choose the types of perfume and colognes you will buy online. Whether you are buying for yourself or as a gift, there are benefits of buying online. However, you may need to visit perfume stores as well. Why? Let me answer that in a moment. Before that, let me give you the tips on how to buy discount perfumes and colognes. 1. Select the scents that you want. Scents include Floral, Fruity, Aquatic, Oriental, or Woody. Some men prefer the woody or aquatic scent for colognes. How do you select the scents? If you have no idea of what the difference are, I suggest you go to the shopping mall. Visit a few perfume stores; check out the different perfumes and colognes. Know how they smell and if it appeals to you, you already know what to buy. If you fell in love with the scent and you want to buy the perfume right there, then we will not stop you. Maybe you do not want the discounts online perfumes have to offer. 2. For those that will purchase their discount perfumes and colognes online, checkout the internet. You can do a search for cheap perfumes or free shipping on perfumes to get the best deals. 3. Ensure that you buy your perfume months before the occasion or if you are just buying for your perfume wardrobe, then there is no issue for you to rush the delivery. Choose free shipping option and try to get as much discount as possible. Let me reiterate, competition is stiff in industries like perfumeries, vendors will vie for your purchase. If you can be wise enough in buying discount perfumes and colognes online, you can by your whole wardrobe without much issue. As a final note, there is no tax in buying online, so take advantage of it (order from a state you don’t live in). Another important reason to buy perfumes at discount prices online is due to the fact internet offers the largest variety. Perfumes that you may not see in the stores are available online. Discount perfume supplies online are unlimited. You do not have the distance barrier in getting supply of perfumes and colognes online.